Shannon Green is a Certified Public Accountant (CPA) and a Certified Fraud Examiner (CFE) with over 17 years experience in forensic accounting. Ms. Green earned a Bachelor’s degree in Accounting from Illinois State University (ISU) in Bloomington, IL in 1994 where she earned a perfect 4.0 GPA in all accounting-related courses. That same year, Ms. Green received the distinguished “Airman of the Year” Award with the United States Air National Guard and served in the U.S. Military from 1990 to 1995 when she was honorably discharged. Upon graduation from USAF basic training, she was awarded the Honor Graduate designation which is given to the top graduate in the class. Due to her superior performance in the college classroom, she was asked by her professors to tutor students in the areas of Calculus, Algebra and Micro Economics (at Lincoln Land Community College), and Financial Accounting while at ISU. Ms. Green is licensed as a CPA in Florida and California and holds her CFE designation through the Association of Certified Fraud Examiners. Ms. Green began her career with State Farm Insurance Companies at their Corporate Headquarters in Bloomington, IL as a Supervising Financial Systems Accounting Analyst. Her responsibilities included developing internal audit and technical procedures as well as financial analysis, project management and information systems support. She interpreted and implemented legislative changes into the compensation system and directed a team of Accounting Systems Analysts and Programmers. She worked for State Farm for 5 years until she relocated to Southern California. Ms. Green then joined the internationally recognized forensic accounting firm of Hagen, Streiff, Newton & Oshiro (HSNO) where she worked from 2001 to 2015. At HSNO, Ms. Green specialized in the investigation and measurement of damages involving first party property claims, employee and corporate fraud, third party claims, product liability matters, business interruption and lost profits, contingent business interruption, extra expense, inventory, construction losses, third-party damage claims, bankruptcy, personal injury and malpractice suits. Ms. Green has provided forensic accounting, investigation and measurement of damages services throughout the United States and Mexico with an aggregate claim amount exceeding $500 million. 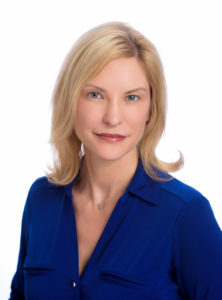 She has performed earnings projections and business valuations related to divorce and other family law matters, partnership disputes, product liability, personal injury and various third party claims. She has investigated fraudulent matters including employee dishonesty, fund diversion, thefts of cash and inventory and financial statement manipulation. She has provided testimony relating to a United States Federal Court proceeding and a product liability and loss of earnings suit in a State Court, and created trial exhibits that were used to arbitrate and settle lawsuits relating to construction defect, loss of earnings, malpractice and disputes. Ms. Green has experience in construction losses, construction defect, and construction funds diversion. Ms. Green has experience in auditing and evaluating construction jobs exceeding $350 million in cost, reviewing of general contractor and subcontractor contracts, performing evaluations to ascertain if there were duplication of charges, overcharging of materials, overcharging of man hours, disallowed mark-ups and other areas of construction billing often prone to errors or dishonest practices. Additionally, Ms. Green is also experienced in family law matters, including alimony, child support, standard of living analysis, equitable distribution and other family law issues. She is trained in collaborative practice and has been involved in numerous collaborative cases.